GPC regularly organizes stewardship events for members of our conservation community to make a difference on the lands they care about. Every property protected by GPC includes a promise to care for these lands in perpetuity. 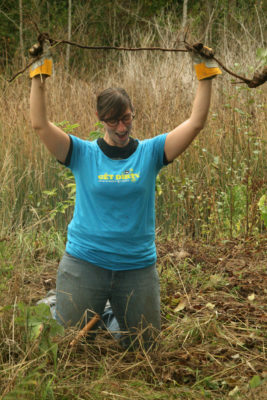 This requires hours of hands-on-the land work both from staff and generous volunteers. Find out more about how your business or organization can help support these stewardship events by contacting us today! Thank you to REI for teaming up with Great Peninsula Conservancy and community volunteers to accomplish stewardship projects that will make Port Gamble Forest and Banner Forest Heritage Parks even better places to #OptOutside!